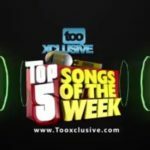 Week 27 for the TooXclusive top 5 music countdown (Nigerian songs). 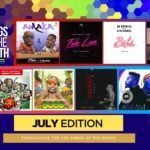 Trending song of the moment, the remix to Naira Marley’s Issa Goal which features Olamide, Lil Kesh, Simi, Falz and Slimcase has found its way onto and up the charts this month. 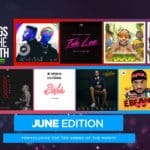 This is the same feat for disc jockeys, Spinall and Neptune on songs BABA and Wait, both of which feature the vocal sensation of Flyboy INC artiste and free-bird singer, Kizz Daniel. 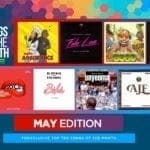 Watch the official top 5 songs countdown in the TX video below.